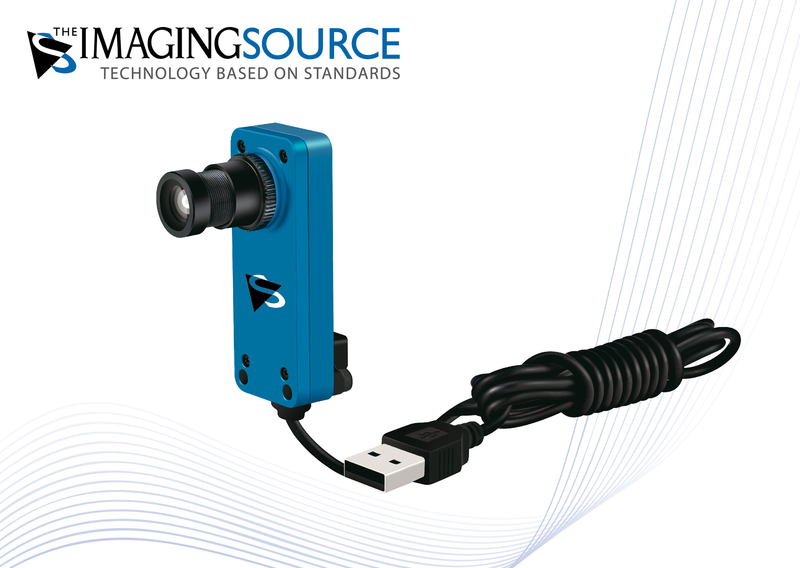 ⋯ (August 5, 2014) - The Imaging Source, an international manufacturer of industrial cameras for machine vision, has just announced the immediately availability of low cost machine vision cameras with an included SDK at the unbeatable price of only EUR 89 (minimum order of 10). The cameras ship in a small, but highly robust zinc and aluminum industrial casing with an S-mount (M12), a 1/4 inch CMOS sensor and USB 2.0 interface with cable. The sensor integrates image optimization algorithms directly on the chip, which ensure that the video stream always has the best image quality and color reproduction even under the harshest lighting conditions. The maximal camera resolution is 1280x720 pixels (720p) at a frame rate of 30 fps. The cameras were developed to replace web cams for basic machine vision and visualization applications. Therefore, they are ideally suited to automation, traffic monitoring, quality assurance, medicine, logistics and CCTV applications. The Imaging Source authors and supports device drivers for LabView, HALCON, DirectX, Twain and WDM, the SDK IC Imaging Control 3.2 (.NET and C++ class library) and IC Capture, programming samples and software tools for Microsoft Windows XP, Vista, 7 and 8. All Windows software can be download directly from our web site. Additionally, The Imaging Source authors and supports open source drivers and end-user software for Linux. The Linux source code, which is released under the Apache License 2.0, enables the integration of these low cost machine vision cameras into popular Linux distributions. The Open Source code is available to download from GitHub.